Localization opens up many opportunities. So does education. When combined, the world-changing potential becomes limitless. Today, we are proud to announce a partnership with Coursera, a leading Massive Open Online Course (MOOC) provider. Together with Coursera and nine other organizations from eight countries, complete course lectures across multiple disciplines will be translated for students around the world, for free. Leading translation companies, philanthropic organizations, mobile carriers, nonprofits, corporations, and universities have joined forces in this Global Translation Partners Program with Coursera. Each of these organizations will begin by translating 3 to 5 select courses into Russian, Portuguese, Turkish, Japanese, Ukrainian, Kazakh, and Arabic, with the majority of translated courses available by this September. To make this possible, Coursera is relying on our continuous localization platform. Our cloud-based tool will host Coursera’s translatable content and allow these organizations and individuals to easily contribute course translations from anywhere, using our translation editor. For the time being, course lectures will be translated via subtitles while all other course material, including quizzes and assignments, will remain in the course’s original language. Coursera’s long-term goal, though, is to have their platform localized to global audiences. Since their launch, Coursera has been taking big strides to connect people with a great education and help students learn without limits. In past few months, they’ve added 29 new universities to its platform, including 16 international schools that offer courses in Chinese, French, Italian and Spanish. 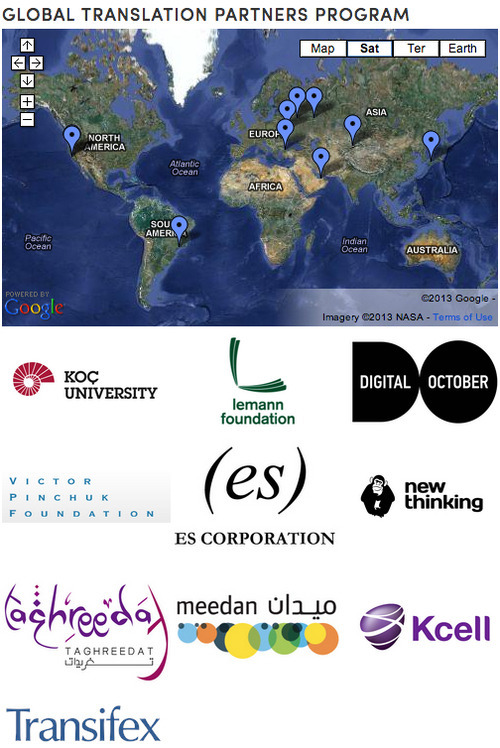 In April 2013, Coursera also kicked off a pilot translation project with Russian organization Digital October. Just as we strongly support and believe in open source initiatives, we have a passion for education and movements to make learning widely accessible. Now, by joining forces, Transifex, Coursera, and all the other partners are taking a giant leap forward toward making high-quality education accessible to anyone, anywhere — regardless of what language they speak. We are excited to see where this partnership leads to!